The answer is simple. Call ServiceMaster Advanced, The Master of Disaster. (251) 653-9333 / (251) 928-1028. 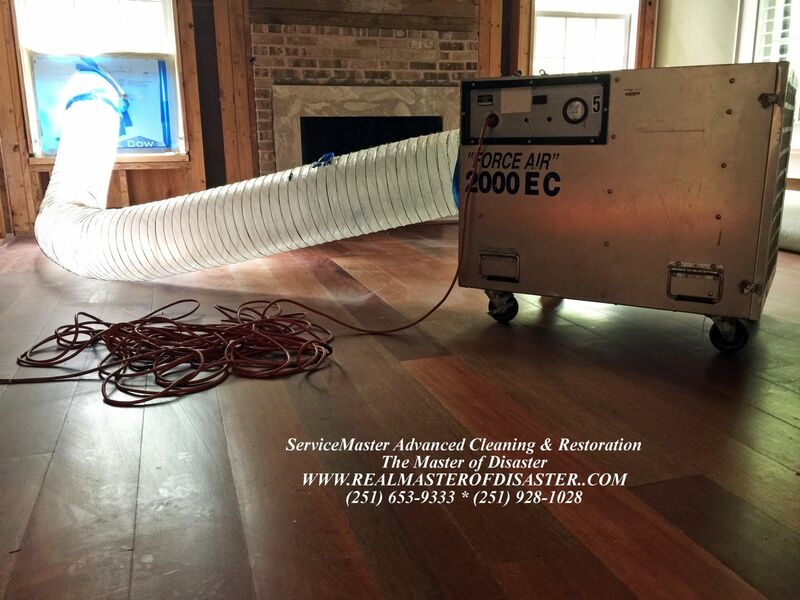 We likely do more mold remediation than anyone in the area, and we have been in the mitigation and remediation business for over 30 years in Mobile and Baldwin Counties in South Alabama. In fact, we teach a class on mold remediation to insurance agents and adjusters! Hippocrates, the great Greek physician, is reported to have said, A wise man should consider that health is the greatest of human blessings. 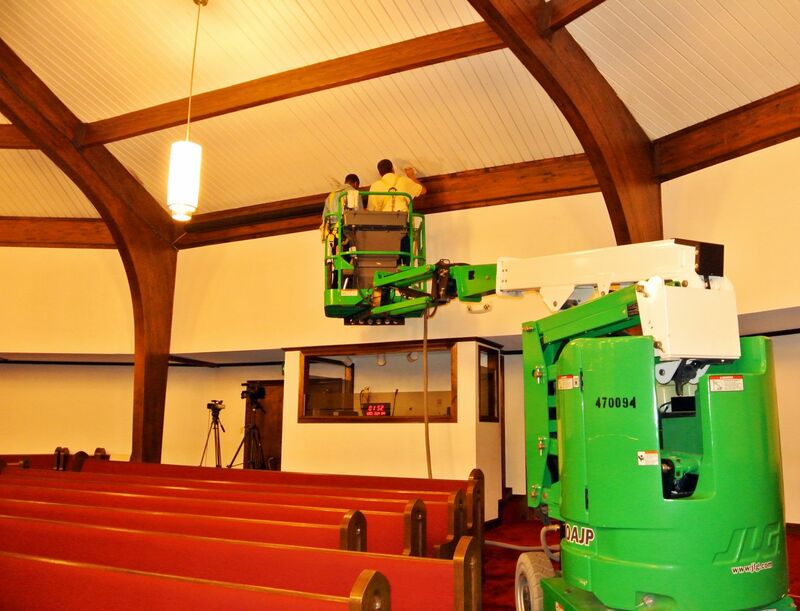 That is one of the reasons why it is so exciting to be a cleaning and restoration contractor in today’s market. Although it is easy to whine about the economy and the difficulties of running a business in such circumstances, the bigger reality is that service providers in the cleaning and restoration industry who make the connection between their activities and the health and well-being of their clients are in a position to offer a blessing of better health through their professional conduct. That is one of the main reasons that I use this column to share information regarding health and medical studies as well as regulatory developments, technological changes, and emerging business trends. Fans of imported British television recognize Dr. Who as the time-traveling alien who battles an assortment of foes while righting wrongs in both the past and the future. (For those who are not familiar with the British and Canadian phenomenon, Guinness Book of World Records recently declared the Dr. Who series as the longest-running and most successful science fiction television show in the world.) The reality is that we live in a universe where time only moves in one direction. As such, we cannot go backward to correct past mistakes, we can only learn from the past and current information to keep from repeating mistakes in the future. A major hindrance that has plagued the mold remediation industry in the past is the dichotomy between “mold minimizers” (oftentimes insurance representatives, building managers, builders, and lawyers) and “fungiphobics” (including hypochondriacs, insurance scammers, mold-is-gold contractors, and lawyers). Arguments over whether mold exposure in buildings has a negative impact on human health has kept the industry from focusing its efforts on dealing with the root problem—water infiltration and subsequent interior fungal growth. Fortunately, health informationhas narrowed the gap between these extreme positions. This book provides a comprehensive overview of the scientific evidence on the health problems associated with this ubiquitous pollution and provides WHO guidelines to protect public health. It also describes the conditions that determine the presence of mould and provides measures to control its growth indoors. The WHO guidelines recognize the traditional argument of the mold minimizers that exposure only causes allergy symptoms when it concludes that the most important health effects of people living in damp and moldy environments are increased respiratory symptoms, allergies, and asthma. However, the document also states with equal clarity that such environments create a “perturbation” (i.e., an alteration of the function of a biological system induced by external or internal mechanisms) of the immunological system. In doing so, the World Health Organization is giving credence to the fungiphobic position that harm from mold exposure goes beyond simple allergies. The new guidelines are very blunt in their assessment that existing building standards and regulations with regard to comfort and health do not sufficiently emphasize requirements for preventing and controlling excess moisture and dampness. The authors also state that because the relation between dampness, microbial exposure, and health effects cannot be quantified precisely, no quantitative health-based guideline values or thresholds can be recommended for acceptable levels of contamination with microorganisms. Instead, it is recommended that dampness and mold-related problems be prevented. When such conditions are identified they should be remediated because they increase the risk of hazardous exposure to microbes and chemicals. Building owners are responsible for providing a healthy workplace or living environment free of excess moisture and mould, by ensuring proper building construction and maintenance. For the intrepid soul who digs into the details of the report and appendices there is a mountain of information that is useful to everyday activities in the restoration fields. The authors of the report offer material-specific values that they believe define critical moisture conditions for microbiological growth. It is refreshing to see their specificity as the guidelines conclude that the critical relative humidity (maximum long-term relative humidity allowed for non-growth) was 75–90% for clean materials and 75–80% for contaminated or soiled materials. Because the document takes such a wide view of the entire subject, it is not surprising that the WHO report even addresses some ventilation issues. The report warns building owners and contractors to review the performance of HVAC systems to ensure that they do not spread pollutants from structures, the ground, outdoor air, or indoor sources. It states very clearly that ventilation should enhance the air in a building by making it flow from clean areas to less clean areas. It goes further, noting that ventilation should remove pollutants from their source (local exhaust) and that pressure differences created by ventilation should not significantly increase the entry of polluted soil or air into the building. The reality is that this short article cannot do justice to the many important concepts related to water intrusion and mold growth in buildings that are explained or reinforced in this new document from the World Health Organization. Therefore, it is incumbent upon cleaning and restoration contractors who want to continue to lead their industry to obtain a copy of these guidelines (it can be downloaded for free from the WHO website) and make sure they are applying the concepts that it contains to their own businesses. Remember that you chose who works in your home or business. 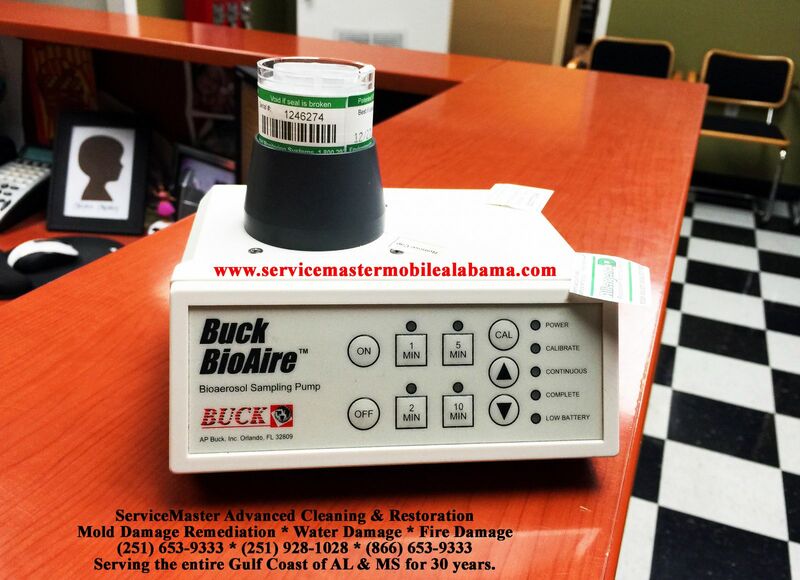 Call the real Master of Disaster (251) 653-9333 & (251) 928-1028. The Job will be done right and we guarantee it.